A brief analysis of the history of football in the troubled Balkan state. What are the reasons for Kosovo’s ineligibility for international competition? What sets it apart from, for example, Gibraltar? What could be its potential as a hypothetical selection consolidates? Kosovo was part of the former Republic of Yugoslavia, which unequivocally, brings to life another question: what would have happened if the dismemberment of the Former Republic of Yugoslavia had not happened? At a political and social level, this question raises cruel memories of the worse violence in Europe since World War II: the Balkan Wars of the 90s. When it comes to football, however, it is impossible not to romanticize. Who would not enjoy watching Nemanja Vidic, Adnan Januzaj, Lazar Markovic, Stevan Jovetic, Luka Modric, Mario Mandzukic, Asmir Begovic, Edin Dzeko, Miralem Pjanic, and many others play on the same team? For any good football enthusiast, this idea of a team sounds like a dream. For many, the Balkans were, are, and will always be the cradle of football talent. From the neighborhood of Maksimir in Zagreb to the suburbs of Sarajevo and all the way to Kalemegdan Park in Belgrade – portrayed many times by filmmaker Emir Kusturica in his films – balls continued to bounce off the walls of buildings despite the horror of war and ethnic conflict. These streets were now becoming witnesses of silence not resembling the passion that it once symbolized it while becoming prisoners of a turbulent historical memory. Yet, it still managed to bring joy during the grim 1990s. It was the elegant touch of Prosinecki, and the killer instinct of Pedja Mijatovic. It was that spectacular technique of Dejan Savicevic in the ranks of AC Milan, and the eternal skills of Sinisa Mihajlovic and Dragan Stojkovic. How could someone forget their character, their pride, and above all, their keen abilities on the turf? Kosovo was one of the areas hit hardest by war. The Serbian people called Kosovo the cradle of their culture, leading to a difficult coexistence during the Balkan Wars and escalating to a war at the late 1990s. Only when NATO intervened in 1999 did the ethnic cleansing end. The problems for Kosovo continued, however, as Kosovo Albanians sought to secede from Serbia. This goal was realized in February 2008, when Kosovo’s Prime Minister. Hashim Thaçi declared the independence unilaterally. Due to a deteriorating social conditions and struggles, many people of Kosovo origin sought refugee status in northern and central Europe during the 1990s. Many Kosovars migrated to Germany, the Scandinavian countries and, primarily, Switzerland. That is why the national football teams of these countries have so many Kosovar talents in their ranks. Many of these players were not even born in the countries they represents; rather, they were born in and subject to poor conditions in Prishtina, Mitrovica, Vushtri, and Gjilan, and left with their parents in search of a better future. Such are the cases of Xherdan Shaqiri, the great Bayern Munich winger who was born in Gjilan and Valon Behrami who was born in Mitrovica. Cases like these are numerous, which inevitably leads to the question: what would have happened if Kosovo were accepted in international competitions by FIFA and UEFA? Among other things, this remains complicated because of the pressure from countries like Serbia and Russia, which oppose Kosovo’s independence. On May 24th, 2013, the UEFA granted Gibraltar, a British territory, full membership. The English colony became the 54th member, thanks to the intervention of the Court of Arbitration for Sport. The surprise was great, but the team will not compete until the Euro 2016 in France qualifiers. Gibraltar has a lot in common with other traditionally weak teams, such as San Marino or the Faroe Islands whose majority of players are amateurs and very few professional football players. For example, the tiny Centro Italic Republic of San Marino holds claims to Andy Selva, a veteran striker who developed much of his career at Serie B, at Grosseto and Hellas Verona. 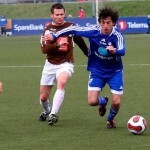 He now spends his football days with SS Cosmos of his native country. In Gibraltar, the only recognizable player is Liam Walker, a 25-year-old left midfielder who decided to take the English adventure, after making a name for himself in the Third Andalusian division and the Spanish Second B Division. Guy Whittingham is another example, trying to get back on track to success after struggling in League One. Despite its short international experience, the Gibraltan selection will have an opportunity which Kosovo does not. Gibraltar submitted an application for membership in the UEFA in 1997, and Chairman Michel Platini admitted them. However, a new rule in 2001 stated that only those recognized by the United Nations could apply to be members of UEFA. Because Gibraltar already had a team and had applied (I assume), the colony was exempt from this rule. But, Kosovo is not. Kosovo and its federation, headed by Fadil Vokrri, a known footballer of the 1980s, must overcome this obstacle. Gibraltar has moved away from the state’s controversial past, though a game between Spain and Gibraltar remain unlikely in the near future. Up to date, Kosovo has been allowed to play international friendlies under certain conditions. 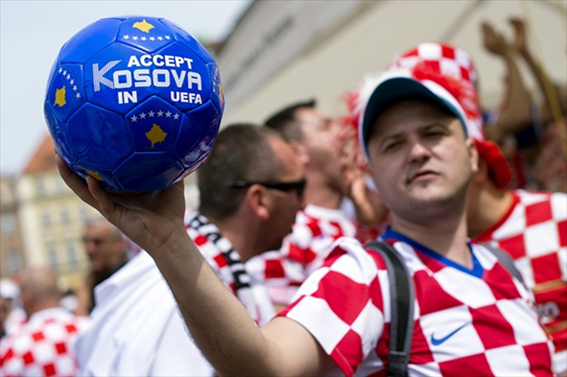 Yet, Kosovo is not a UN member yet and therefore cannot participate in FIFA and UEFA organized qualifiers. Kosovo – affiliated players continue to play for other countries, most of them representing Switzerland and national team Albania, which many Kosovars also consider their own. The history of Kosovar football has its roots in the shape of a playmaker with an exquisite game viewing born June 23, 1960 in Podujevo, one of the smaller towns not far from the border with Serbia. It is where, Fadil Vokrri learnt to play football, and became one of the greatest players of Yugoslavia in the 1980s. Vokrri became the main figure of KF Prishtina, best Kosovo team competing within the first Yugoslav division and then landed in Partizan Belgrade in 1986. Quick and with a powerful shot, he symbolized a star-powered next generation of Kosovar players such as Edmond Rugova and Agim Cana. After Partizan, Fadil Vokrri showed his skills and technique in France and Turkey. Today, his best pupil may be a Bayern Munich football player, Xherdan Shaqiri. Not only because of the quality resemblance, but also leadership. His leadership skills shone, and the young players blossomed under him. Vokrri was one of the members of Yugoslavia national team of the mid 80’s, alongside with other illustrious names as Mehmed Bazdarevic or Faruk Hadzibegic. He also shared a dressing room with other Balkan football greats such as Dragan Stojkovic or Srecko Katanec. It was a prelude to the great, but brief, Yugoslavia national team at the end of the decade, which gathered Prosinecki or Boban among others. These aforementioned players represent only a taste of the football potential that has emerged from Kosovo or of Kosovar Albanian ethnic roots. Now, imagine, for a moment, that all these players playing abroad are gathered to represent the people of their ancestors. It may be very well be an interesting team and display of skills, as shown in the attached table. Based on the analysis, Kosovo could become a team with a large amount of potential, especially upfront. Names such as Lorik Cana, a cutting-defensive midfielder who can adapt to the axis of the rear (the coach is no longer Lazio’s coach) and Valon Berisha, the ball genius to emerge from the Norwegian Vikings are included. Also included are the midfielders Granit Xhaka, Xherdan Shaqiri and Valdet Rama, a skilled football player featuring in the Spanish La Liga side, Real Valladolid;all of them talented athletes forming a strong team. The Kosovar talent is actually distributed all over the European continent. Astrit Ajdarevic passed through youth ranks from Liverpool to Leicester, and then to Sweden. He currently launches his career at Standard Liege, Belgium. Brothers Njazi and Shefki Kuqi came from Finland and are now playing their final football years for Greek Atromitos and Scottish Hinerbian, respectively. The younger generation , however, is truly interesting. Names like Veton Berisha (the younger brother of Valon Berisha) plays currently at Viking Stavanger. The fifteen-year-old Zymer Bytyqi has recently signed onto the Austrian Red Bull Salzburg, and young Sinan Bytyqi plays for the U18 squad in Manchester City. Kamer Qaka is a talented young center in the Norwegian Valerenga, and do we even need to mention Adnan Januzaj the latest Manchester United and English Premier League star. The years to come will have a basket full of Kosovar talent. Kosovo football team may seem far from taking shape due to obstacles it faces, but one thing is for sure: if these players are brought together, their competiveness will leave no one with everything, but indifferent. Pablo Varela (Corme, A Coruña, 1989). A historian and researcher turned into a multitasking journalist. He began writing to try to capture on paper what sometimes does not come out in public. He currently combines a degree in Communication and Creative Industries in Santiago de Compostela with his work in some media sports journalism, as VAVEL and in the near future, Perarnau Magazine.